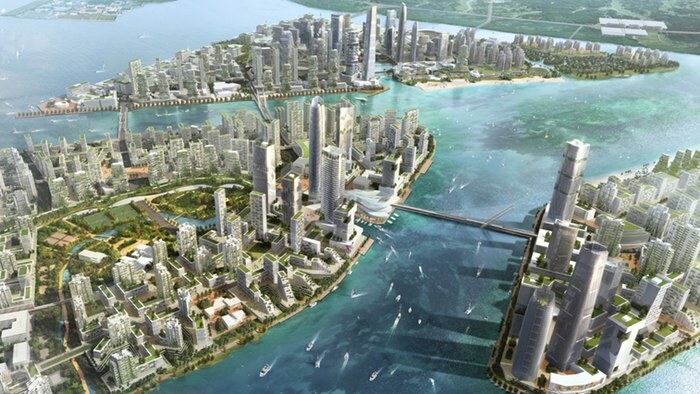 China-based Country Garden, the developer of the US$100 billion (RM443.95 billion) Forest City project in Johor, revealed that fewer than 60 buyers want to pull out their home purchases in the mega development, reported Free Malaysia Today. Although they have already made significant down payments, the buyers had requested to cancel their purchases, after China restricted the exchange of yuan into other foreign currencies to reduce capital outflows. While the developer announced that it is no longer accepting the Chinese currency as payment for units in the project, the South China Morning Post reported last Tuesday (4 April) that Country Garden has vowed to refund the deposits paid by home buyers from China who can no longer transfer money outside the country to pay their remaining balance in Forest City due to Beijing’s capital outflow restrictions. “They can cancel the transaction and there is no need to pay a forfeit fee”, said Country Garden Vice President Zhu Jianmin. However, an announcement from Country Garden last Wednesday (5 April) has led to uncertainty on whether Chinese buyers impacted by China’s capital controls are no longer required to fork out a forfeit fee to scrap their purchases. “In the event of home booking cancellation, we would also like to clarify that cancellation after a sales and purchase agreement has been signed is deemed as a breach of contract,” it said in a statement. In addition, property analysts pointed out that even if just a small percentage of the buyers cancels their purchases, this could result in a slowdown in the entire project, heightening concerns of a housing glut in Johor’s Iskandar region. This is because Forest City registered RM11.54 billion sales in 2016. Of the 15,000 residential units sold that year, Chinese nationals accounted for 70 percent of the buyers. So far, there are at least two online groups comprising about 80 buyers from China, who are asking Country Garden to allow refunds without paying penalties.